The Deeping Shopping Centre has been awarded the Safer Parking Scheme’s “Park Mark” for the first time, making it the only car park in Deeping to have this recognition. The award comes less than a year since a new parking scheme was introduced at the centre which has granted shoppers easier access to the centre. Peter Gravells, British Parking Association Area Manager, said: “I am delighted that Deeping Shopping Centre has been awarded Park Mark. 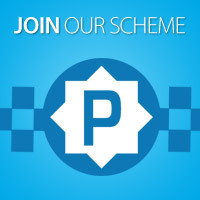 As part of the ongoing process required for the Safer Parking Scheme, the site will be assessed again in a year’s time by the Lincolnshire Police Assessor to ensure it continues to meet the scheme’s standards." The short stay car park is free to use for a maximum stay of four hours. There are then two long stay car parks within the centre; in these the first four hours are free and those wishing to stay longer can purchase a Pay & Display ticket for a nominal charge of £1 per day. Alternatively, a weekly seven day permit can be purchased for £4. The car park restrictions for the long and short stay areas are in place Monday to Saturday 6am-6pm, which allows for overnight parking without charge. 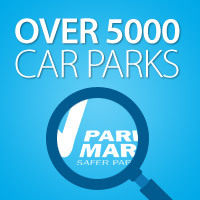 There are no time restrictions in either of the car park areas on Sundays or bank holidays. Photo: Peter Gravells, British Parking Association Area Manager (left), presents the Park Mark certificate to Kevin Smith, manager at the Deeping Shopping Centre.